We are dedicated to the best automotive repair experience in the area. It’s our mission to provide honest automotive repair, quality workmanship and exceptional service. We pride ourselves on taking the time to carefully explain all repairs to our customers. 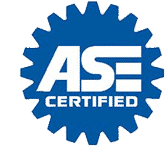 Alliance Auto Service has been providing high-quality maintenance, diagnostic and repair service to Mendocino County since 2004. We started as a small, one-man operation and quickly grew to a five-bay service shop with seven employees. 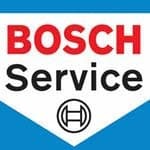 We are AAA Approved and Bosch certified, and all our technicians are ASE certified. I was in Ukiah to accompany my father to a doctors appointment. As I was leaving to drive home I decided to put the top down on my Mercedes (it goes into the trunk.) Well it got halfway down and wouldn’t go up or down. After spending a half hour on the phone with Good Sam I decided to hang up and look for foreign auto repair near me. Well it just so happens Alliance Auto Repair was just around the corner. I drove there, yes the top was half down LOL! Salvador was able to get it back up within 10 minutes, and wouldn’t let me pay anything for his service! Thank you so much Salvador! I couldn’t be happier with the service I received from these guys! If you’d like to contact us, please call us at the number above, or email us using the form below. A member of our team will be happy to assist you. We look forward to exceeding your expectations.